What it is: A natural looking, and long wearing foundation. I have numerous “favorite” products… but I must say this has become a staple in my makeup collection. At the moment, I’d have to say this is the absolute best foundation I have ever used, and believe me when I say I’ve tried hundreds! This foundation is a light to medium coverage, gives a natural matte finish, feels comfortable on the skin, does not get streaky or caky, and is the longest wearing foundation I’ve ever found! This stuff is bullet proof! It stays on no matter how hot and humid it is outside. 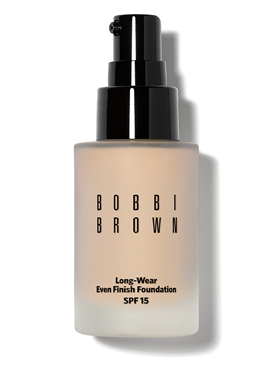 Please keep in mind… this foundation is formulated for a normal to oily skin type. If your skin is on the dry side, you probably will not like this. Sadly I have read a lot of negative reviews on this foundation, which totally shocked me… but from what I read, it seems as though the complaints are either application errors or confusion, or that it’s not the proper foundation for the person’s skin type. This foundation is a liquid/gel base, and works best applied with a dense foundation brush (I recommend the Stila One Step Complexion Brush, another favorite of mine)! You can also use a Beauty Blender to apply. Because of the consistency of this foundation, I would avoid applying this with your fingers, for it could “tug” on the skin and cause streaking. If you have the proper skin type, and apply this foundation correctly… I am confident this will become a favorite for you too!